On Wed, December 5, from 6:00 – 8:00 pm, the Mercantile Library will host Celebrating the University of Cincinnati Bicentennial, featuring David Stradling and Greg Hand who will speak about their books published recently by the University of Cincinnati Press. In Service to the City: A History of the University of Cincinnati, is a comprehensive history by Professor David Stradling. Its companion volume, edited by Greg Hand, From the Temple of Zeus to the Hyperloop: University of Cincinnati Stories, is an anthology that complements and enriches Stradling’s book by demonstrating the UC experience. In Service to the City: A History of the University of Cincinnati is a scholarly history by David Stradling, who holds the Zane Miller Chair in Urban History at UC. Stradling is a noted author of urban history, author of Making Mountains: New York City and the Catskills (University of Washington Press, 2007), The Nature of New York: An Environmental History of the Empire State (Cornell University Press, 2010) and Where the River Burned: Carl Stokes and the Struggle to Save Cleveland (Cornell University Press, 2015). Stradling’s book focuses on the evolving relationship between the University of Cincinnati and the City of Cincinnati and how these two entities influenced one another. A companion volume, edited by Greg Hand, From the Temple of Zeus to the Hyperloop: University of Cincinnati Stories, is an anthology of 35 chapters that complements and enriches Professor Stradling’s book by demonstrating the breadth and diversity of the UC experience. Authors for this volume include Sarah Jessica Parker, former Governor Bob Taft, faculty, alumni, and current students. Most contributions are in the form of personal essays, but there is a play and a poem as well. 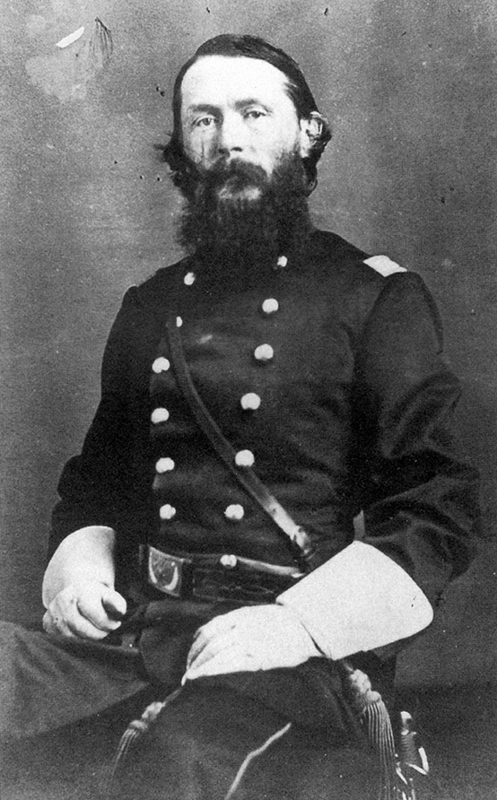 On September 20, 1863, in the midst of the Civil War, General William Haines Lytle of Cincinnati was shot and killed by a Confederate sniper’s bullet in the Battle of Chickamauga. A few days later, his body was carried back to his hometown. Lytle’s funeral was held at Christ Church Cathedral in downtown Cincinnati and the thousands of mourners followed his casket in the cortege to Spring Grove Cemetery, miles away from the church. The slow procession took up most of the day, the general’s body not arriving at Spring Grove until dusk. Sometime later, his grave marker – a broken column – would dominate the landscape of the garden cemetery. The Henry R. Winkler Center for the History of the Health Professions and the Cecil Striker Society for the History of Medicine will host the 9th Cecil Striker Society Annual Lecture from 5-7:30 p.m. on Thursday, May 3, in the Kresge Auditorium, Medical Sciences Building, 231 Albert Sabin Way. This year’s lecture, titled “Cincinnati Children’s Hospital Impacting the Health of Children in Our Community and the World: The Past, Present and Future,” will focus on the contributions and historical relevance of pediatrics in the Cincinnati region with a primary focus on Cincinnati Children’s Hospital and Medical Center (Children’s Hospital). Michael Farrell, MD, and Bea Katz, PhD, will serve as co-lecturers for the event. Dr. Farrell is currently professor of pediatrics in the College of Medicine. He served as director of the Pediatric Residency Program until 2001 and chief of staff at Children’s Hospital until 2015. His major interests are general pediatrics, the history of medicine and gastroenterology/nutrition. Bea Katz, editor of Cincinnati Children’s Hospital Medical Center (2008) by Arcadia Publishing, has chronicled the history of Children’s Hospital for 30 years, first as a writer in the hospital’s Marketing and Communications Department and later, post-retirement, as an independent author and researcher. The evening will include the talk and audience Q&A from 5-6:30 p.m. Immediately following will be a reception from 6:30-7:30 p.m. outside the Winkler Center. In addition, an exhibit highlighting the pediatric history of Cincinnati will be on display in the Stanley J. Lucas, MD, Board Room. If you took a composition course in America, chances are you were faced with the seminal book in writing well, William Strunk, Jr. and E.B. White’s The Elements of Style. And if you were fortunate, you had a high school teacher or college professor whose teaching could match the plain elegance and helpful guideposts of this little book. The Elements of Style is arguably the most referenced guide to writing in American education. But how many of us know the story behind this famous text? 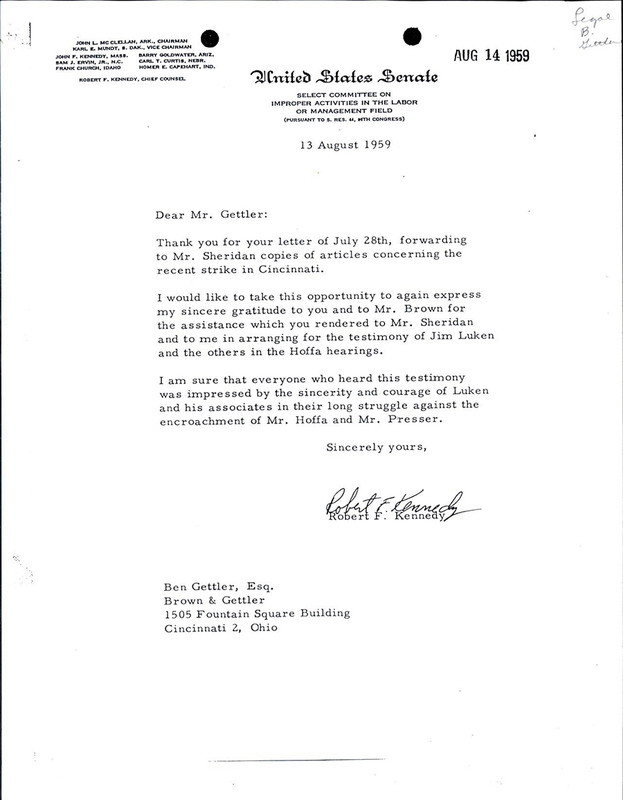 Chances are we’re all familiar with E.B. White, the decades-long columnist for the New Yorker and the author of modern classics like Charlotte’s Web, Stuart Little, One Man’s Meat, The Second Tree From the Corner and a host of other books. Curmudgeonly almost to a fault and a writer with uncommon regard for the simple declarative sentence, White was one of the great literary stylists of the 20th century. And William Strunk? 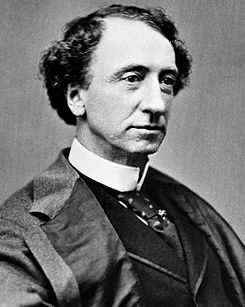 He happened to be an English professor at Cornell University during White’s undergraduate days, White graduating from Cornell in 1921. Strunk developed a little handbook for writing that he used in his classes and decades later White wrote an essay for The New Yorker about Strunk’s lessons for usage and style. 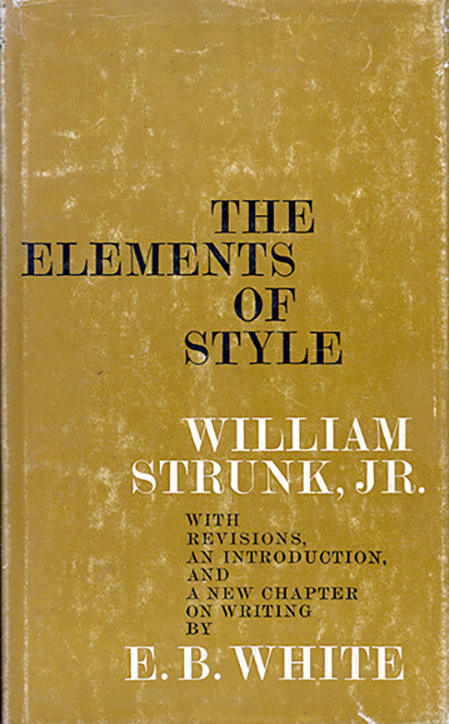 At the urging of a publisher, White revised Strunk’s work, added an introduction and The Elements of Style was born. Now to the University of Cincinnati connection: William Strunk, Jr., the author of this famous guide, grew up in Cincinnati and was an 1890 graduate of UC. For the Archives & Rare Books Library’s “50 Minutes” lunchtime series of talks, Greg Hand returns to campus on Thursday, February 22, to relate in his well-informed fashion the story of Mr. William Strunk, and an interesting one it is. As always, Mr. Hand tells his tales with great aplomb and guaranteed satisfaction for all, earning the favor of everyone in attendance. He will speak of facts and fictions, of parodies and paradoxes, and if he were to offer an elegant phrase or two of his own, we would not mind in the least. The talk begins at 12:00 noon in Room 814 of Blegen Library and will last until everyone is ushered out around 1 pm. Bring your lunch, a friend, and acceptable manners (note the Oxford comma). There will also be a random drawing of select and relevant books. Enclosed you find a doctor bill for treatment of a fractured nose, rendered to my son Armin C. Arend, who was hurt in a flag rush on the 30th of October; the rush being aided and supported by the officials of the University of Cincinnati. I hope your Honorable Body doesn’t expect that I have to pay this bill since I, as well as my son, am opposed to flag rushes. Please take this matter into your hands, & judge for yourself who should pay this bill. Remember, that I paid tuition for this day, which is not given as a holiday in the School Calendar of the University of Cincinnati. It is hard enough for me as a workingman to pay tuition let alone such foolish unnecessary expenses. 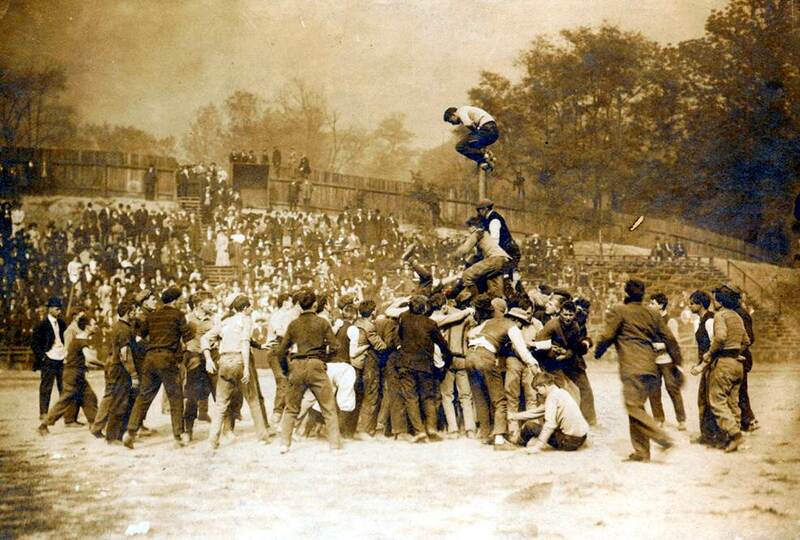 Because that is what “flag rush” was during the Progressive Era, a bloodsport of occasional broken noses, broken arms, concussions, and countless contusions and abrasions. A variation on games we know as “capture the flag” and “red rover,” flag rush was a heightened example of these, and was popular on college and university campuses around the country.